With all the buzz surrounding the latest Assassin’s Creed game, some may have forgotten that Ubisoft will be giving out the brilliant Assassin’s Creed IV: Black Flag for free this month as the French company announced earlier on its blog. This 2013 game was made by the same team behind this year’s Assassin’s Creed: Origins, and surely ranks amongst the best Assassin’s Creed games made to date, arguably only behind the great Assassin’s Creed II. Some have criticized Assassin’s Creed IV: Black Flag for being more a game about pirates with some assassinating thrown in for good measure, rather than feeling like the typical Assassin’s Creed game. 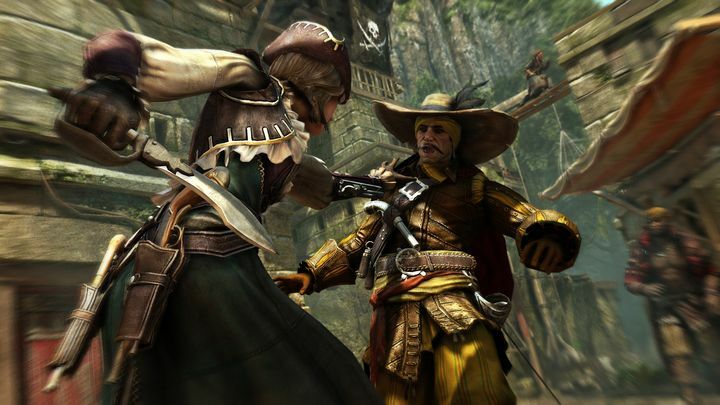 Actually, the long-running conflict between the Assassin and the Templars fades to the background early in Black Flag’s plot, leaving you free to plunder the Caribbean to your heart’s content as pirate captain Edward Kenway. And no doubt the naval combat is a highlight in Black Flag, and attacking and boarding enemy galleons in the high seas sure feels great in this Assassin’s Creed game. It’s a good thing then, that Ubisoft will be giving away the PC version of Black Flag for free starting today (December 12) and until Monday, December 18. All you have to do is login to your Uplay account (or create one here) and claim your free game by following this link. But even if this pirate-y Assassin’s Creed adventure is not your cup of tea, you can take a look at the best the series has offered to date here, while French publisher Ubisoft has already announced its future plans for the most recent entry in the series and its other major franchise Far Cry, the latest instalment of which is due to arrive early next year.